9731 Lake Shore Road, Angola, NY.| MLS# B1178128 | Chautauqua Lake Real Estate. Specializing Chautauqua Lake helping Buyers and Sellers since 1985. !! !HUD ALERT!!! ANOTHER BARGAIN FROM "UNCLE SAM". 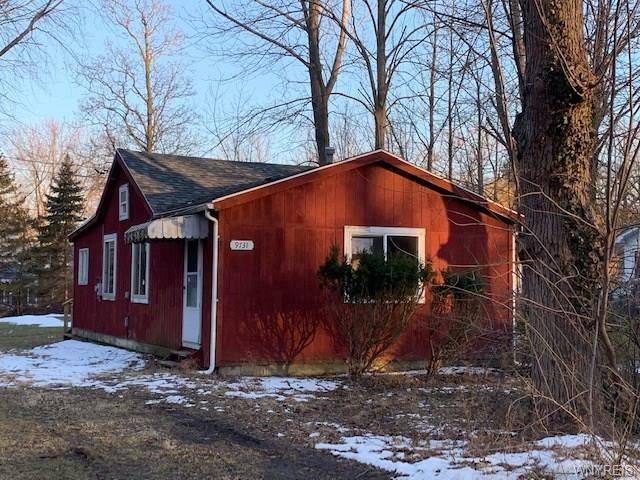 CHECK OUT THIS 2 BEDROOM 1 BATH RANCH/COTTAGE IN MOVE-IN CONDITION, AND JUST STEPS AWAY FROM THE LAKE ERIE BEACHES AND NIGHTLIFE. NEWER ROOF AND UPDATED INTERIOR MAKE THIS GEM THE BARGAIN OF THE YEAR SO FAR. EITHER YEAR ROUND LIVING OR JUST A SUMMERTIME GET AWAY DON'T WAIT AS THIS WILL NOT LAST LONG AT THIS PRICE. CALL FOR YOUR APPOINTMENT TODAY. Directions To Property: Rt 5 To Kennedy To Lake Shore Rd. Nearest Cross Street: Bennett Rd.